The infamous “pin-up girl,” recognizable when you see her on the stage, on a poster or in person walking next to you down the street. With her eye-catching red lipstick, high heel pumps, curled bangs adorned with a decorative accessory and wearing seductive outfits, she’s easy to spot in a room or on any piece of artwork. 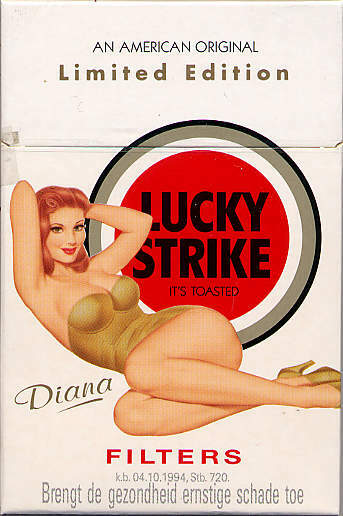 With its origins in performing arts including films, theater and burlesque, the ‘pin-up girl’ became a provocative staple in advertising to attract on-goers to shows and performances and later to promote products such as clothing, perfume, makeup, cigarettes, soda pop, etc. Almost anything – you name it, a pin-up girl could promote it. Similar to the art nouveau lithographs and posters designed in the 1900s, where advertisements became artwork valued for their distinct style, the pin-up girl became a culture all its own. The classic pin-up girls appearance is typically a beautiful and shapely woman in enticing postures and teasing positions shown on a variety of renditions from the photograph to the oil painting to traditional style tattoos. Before pin-up, they were called cheesecake photos, which were as appetizing, delectable and “better than eating cheesecake” to look at as they sound. The practice began as early as the 1800s, but grew in popularity in the 1940s with mostly Hollywood starlets of the time dressing up in alluring attire emphasizing their hourglass shape while still keeping a little something covered, better left to the imagination. “Pin-up” became the new term as these were mostly informal displays whether photographs, drawings or paintings pinned up on a wall, on calendars, postcards or cut out of newspapers and magazines. When you see a pin-up girl you know it. Betty Graple, Bernie Dexter and Betty Page are few of the most well-known performers, whose unique style continues on in the pin-up girl imagery we still recognize today.